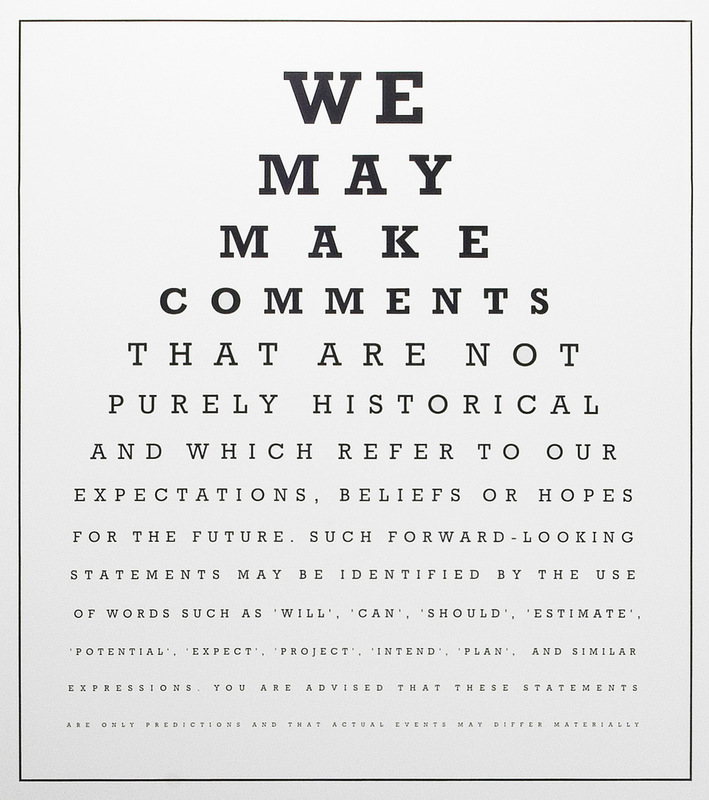 Cautionary Statement is a text piece based on 'forward looking statements', a type of corporate disclaimer published in American annual reports. Forward-looking statements allow companies to discuss the future whilst not being held to account if such statements do not come to pass. 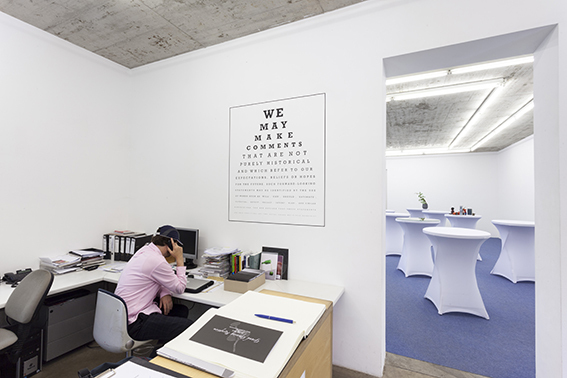 The language of Young's disclaimer seems to ask the viewer not to 'rely on' any future-oriented words used by the gallery, although it remains unclear to whom the collective term 'we' mentioned in the disclaimer actually refers to. 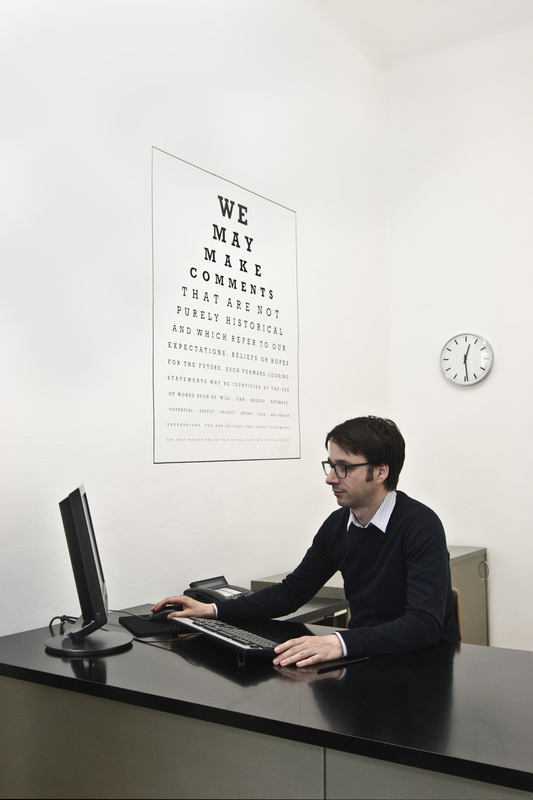 In a gallery context the piece should be placed in a public area in which everyday work takes place, especially an area for spoken conversations. Thanks to Jay Swanson, Dorsey and Whitney LLP, Minneapolis for legal guidance.